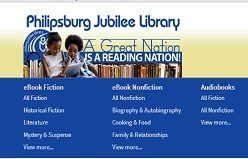 — throughout the month of July, the Philipsburg Jubilee Library hosted a successful piloted program. The summer program this year had an academic aspect under the theme “Summer Learning”. The “Summer Learning” (SL) pilot program was made possible with the support of the Central Bank of Curaçao and St. Maarten (CBCS). On the occasion of its 190th CBCS anniversary, the Philipsburg Jubilee Library received a cheque of NAF. 19,000 to contribute towards the important work done by the Philipsburg Jubilee Library and the important role that it plays for the citizens of St. Maarten. 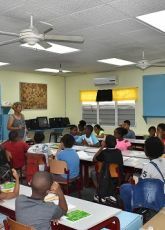 The Summer Learning Pilot Program 2018 which was led by Project Coordinator Mrs. Mariland Powell, was held at the Sr. Borgia Primary School. The pilot program was designed by the library to engage children from the ages 9-11 from groups 6 – and 7, in educational activities to bridge the gap between school terms to better prepare students for their FBE exams in group 8 by helping them improve their academic skills in a fun and interactive way. The Summer Learning program covered reading comprehension, writing, and mathematics under the guidance of Drs. Vanessa Anderson. Coding ~ “An hour of Code” and “Stop Motion Animation” subjects were also covered during the Summer Learning Program by Media Coach Annelies Starreveld and Alejandro Espinal – Lewin Bsc. These subjects were done using tablets and laptops financed by Dutch Representative in St. Maarten & Stichting Samenwerkende Fonsen” to help students familiarize themselves with computer science. We, at the Philipsburg Jubilee Library (PJL), believe that it was important for these subjects to be taught to students as the world is becoming more technological driven. Listening and behavioral skills were taught to both male and female participants by motivational speakers Lenworth Wilson who was in charge of the male group under the name “Boyz to kings” and Mrs. Charity Cantave-Sams who was in charge of the female group under the name “ Phenomenal Girls Society; “ I am Enough”. Anger Replacement Training (A.R.T.) was conducted by Thomas Burnett aka Coach Tom; a program that is geared towards assisting children with controlling their anger, learn social skills and moral reasoning, thinking before they reached to the final action, deep breathing and counting backward from 20 to 1 which assists in the slowing of the pulse. Meditation Classes were also provided under the guidance of Giovanni Olivacce. As meditation assists with the improvement of concentration, decreases in anxiety, and a demeanor which helps students reflect during school-related activities. Agriculturist Denicio Wyatte of Spaceless Gardens provided the agriculture workshop to help students connect with the ground and Mother Nature while teaching them about developing and growing their own sustainable organic food. These lessons are deemed important for circumstances where food shortage takes place after a natural disaster, and/ or to interest students to eat healthier organic foods. Agriculture/ gardening also have the benefits of decreasing anxieties in children. These psychological therapeutic effects that agriculture/gardening, candle making, has, was the reason why the Fine Art workshop given by Msc.in Art, Charisse Piper was also provided to the students because art also helps improve a person’s focus and thereby their discipline, a common theme connecting the learning experience. Drs. Tadzio Bervoets and Drs. 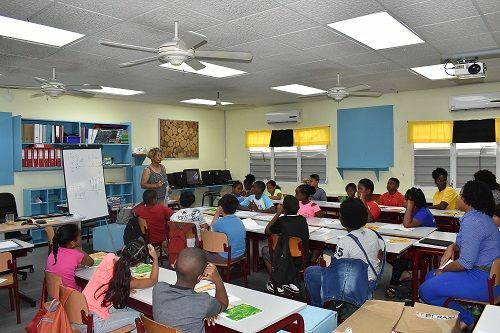 Etienne Lake of the St. Maarten’s Nature Foundation provided the environmental workshop which objective was to teach the students, through hikes and other island excursions, about the island’s geographical history and heritage. The students of the American University of the Caribbean (AUC) & the Collective Preventative Service Ministry of Public Health, Social Development & Labour provided the SL students with workshops teaching them about the “Body Smaart” human anatomy, healthy eating habits and nutrition, personal hygiene and movement CPS: Nutritionist, Swinda Richardson & Hygienist Nurse Nirmala Vlaun and LAB Sports Academy Mr. Les Brown. To prevent theft after any disasters on the island, a lecture titled “Too Cool to loot” was given by the Ministry of Education, Culture, Youth, and Sports in collaboration with UNICEF. Children were guided in exploring and observing their world and discover the fun aspect of learning. The project coordinator Mariland Powell, felt that the Summer Learning Pilot Program 2018, was a great success as the children still are talking about a great summer experience that they had. We, the Philipsburg Jubilee Library are also looking forward to hosting a similar program next year. Poetry and storytelling led by Mrs. Mariland Powell taught students to express themselves creatively by teaching them how to put into words their feelings and emotions while building their self-esteem. More self –expression workshop was given in the form of movement by the Dance and Art Dimensions Academy (DADA). This workshop lasted a week. The final choreographed dance was showcase at the Christian Fellowship Church. In addition, Rijkman Hodge provided a workshop on free-style dancing. 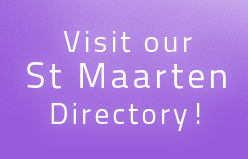 The Library would like to thank Central Bank of Curaçao and St. Maarten (CBCS), Dutch Representative in St. Maarten, Stichting Samenwerkende Fondsen (SSF) for their contribution to purchase new laptops and tablets, American University of the Caribbean (AUC), the Summer Learning Students, their parents, all Presenters and Lectures , Mental Health Foundation for the therapeutic candle-making sessions, the Business Outreach & Placement Program students (BOPP) from the Department of Youth Affairs and the Ministry of Education, UNICEF, St. Maarten’s Nature Foundation Dance and Arts Dimensions Academy, Collective Preventative Service Ministry of Public Health, Social Development & Labour, SoContagious Graphic designer, Cleon Fredericks, TshirtMaxx, and the caterer Mrs. Maureen Hodge. We would also like to thank the Port of St. Maarten for providing water bottles for the students and the Windward Roads Infrastructure for the usage of their spotlight as they brighten the closing party.